This year the French broadcaster France 3 has made an internal selection. Out of 300 possible candidates the choice felt to the young and attractive singer Alma with the gloomy song title “Requiem”. By surprise the French entry is an uplifting up-tempo song with a good verve and catchy tune as well. The song reveals her quest for never ending love, with poetic and dreamlike lyrics. The song is about a positive message helps you overcome any difficult situation. The composer Nazim Khaled has also been responsible for last year’s success with Amir’s “J’ai Cherché” with a wonderful 6th place. Alma alias Alexandra Maquet was born in Lyon in 1988. 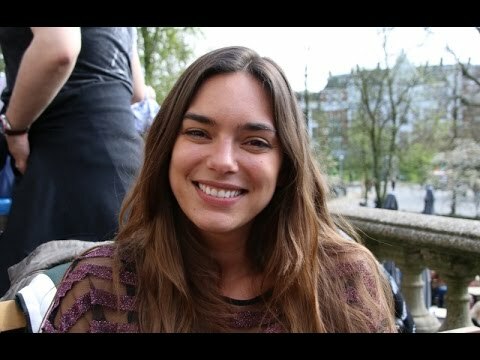 She has been living in many interesting countries during her childhood like Italy, Brazil and the USA. Back in Paris she has studied singing where she med Nazim Khaled, with whom together she recorded her first single "La Chute est lente". Her first album is going to be released in early May 2017. The song “Requiem” has been changed from its original version. Now there is an English verse in it. This is probably due to the international approach. 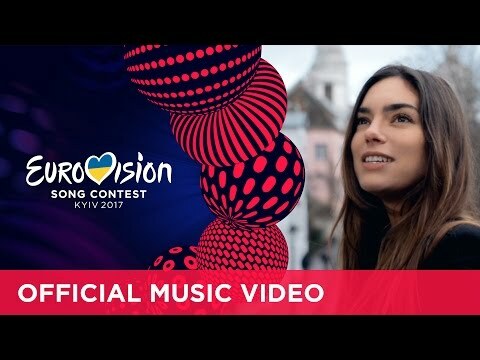 On the other hand for many people the Eurovision Song Contest is a unique experience to listen to other languages, if every country is singing their song in English this atmosphere is being destroyed. And the French language is very suitable for music compared to other countries, so it would be wise to let Alma sing the 100% French version in Kiev. Judging by the video-clip, the French entry can be treated as one of the favourites this year. But in Eurovision it’s all about live singing and having a good stage performance. If Alma could transfer the atmosphere of the professional video-clip on stage, a good position for her would be guaranteed. France belongs to the founding members of the Eurovision Song Contest from the first year 1956. This year in Stockholm is going to be the 61st time for France! France has withdrawn in 1974 and 1982. Nevertheless there were five winning songs, six second places and seven third places, unfortunately the biggest successes can be found in the 50’s, 60’s and 70’s. In the last 30 years France struggled with good placings, this is due to the increasing amount of participating countries and the televoting and sometimes it’s due to the bad choice for the right entry by the French broadcaster. A Top10 position France could be achieved 38 times within six decades, so approximate chance to get a good placement overall is about 63%. Thanks to last year’s good performance of Amir with “J’ai Cherché”, France could achieve a well-deserved 6th place in Stockholm. France is famous for its chansons and ballads, but also French pop tunes have been presented lately like “Divine” by Sébastian Tellier (19th rank in 2008) and “Allez Olla Olé” by Jessy Matador (12th rank in 2010) which have been found in the international charts as well. Here France was on the right way to be successful. Even with big names like Patricia Kaas, Natasha St. Pierre or Patrick Fiori could not bring another victory for France, but at least some respectable placings and international attention. In 1977 Marie Myriam convinced the juries with “L'oiseau Et L'enfant”, this was the last big victory in Eurovision, and that’s more than 30 years ago! As France belongs to the Big 5 countries, it is set automatically for the final like Germany, UK, Spain and Italy.